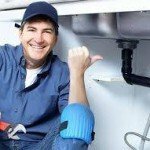 CAN I RUN A REPAIR COMPANY AS A JOURNEYMAN PLUMBER? A Journeyman may run a repair company. The Requirements are below. Must meet state requirements as an Employing Entity. Company name MUST specify “Repair” in the name. John’s Plumbing & Repair is unacceptable and suggest that you are able to perform Master work, however John’s Plumbing Repair is an acceptable use of company name. Must produce business license or other acceptable board approved documentation as proof of legal entity with the State Plumbing Board of Louisiana. Must provide proof of at least $100, 00 General Liability and list the State Plumbing Board of Louisiana as a certificate holder. Must provide proof of State Minimum Liability Service Vehicle Insurance. Current copy of insurance card is acceptable. Complete and notarize the Workers’ Compensation Exemption form. A Journeyman who runs a repair company CAN NOT employ helpers or apprentices. Follow all sign and advertisement regulations set forth for Master’s. Repair companies shall mean and be limited to the performance of repairs to existing plumbing, the clearing of stoppages, or repairing leaks. The State Plumbing Board of Louisiana will mail out all renewal forms in October of each year. The Board will renew licenses beginning in November of each year. It is the responsibility of each plumber to make sure they have received a form and to make sure their license is renewed before Dec. 31 of each year. You must renew your license by December 31st of each year in order to work in the following year. All plumbing licenses issued by the State Plumbing Board of Louisiana will expire on December 31 of the license year. No grace period will be given for renewals sent in on or after December 31. You must have a current year license by January 1st of each year in order to work in that year. WILL CONTINUING PROFESSIONAL EDUCATION (CPE) TAKEN IN ANOTHER STATE COUNT TOWARDS MY LOUISIANA PLUMBING LICENSE? If the Continuing Professional Education (CPE) class taken in another state meets the Louisiana course outline requirements set for that year, then we will accept the Continuing Professional Education (CPE) from that state. The plumber must submit a copy of the outline and/or course materials and a copy of the certificate of completion for each Continuing Professional Education (CPE) course taken out of state to be approved. Please contact the Board to verify before taking an out-of-state continuing professional education class. DO I NEED A CONTRACTORS LICENSE TO PERFORM PLUMBING WORK IN THE STATE OF LOUISIANA? In order to bid or perform plumbing work on jobs of $10,000 or more, you are required by law to obtain a Contractors License IN ADDITION to your Louisiana State Master Plumbing License. For more questions on this subject, please contact the Louisiana State Licensing Board for Contractors at (225) 765-2301 or http://www.lslbc.louisiana.gov. WHAT ARE THE REQUIREMENTS FOR SIGNAGE AND ADVERTISEMENT? WHAT IS REQUIRED TO GET A MASTER LICENSE? To qualify for the Master Plumber examination an applicant must hold a current Louisiana Journeyman Plumber License or a current restricted Louisiana Master Plumber License or a LA. Professional Engineers License with 5 years experience in the plumbing trade. WHAT ARE THE REQUIREMENTS ON INSURANCE AND SIGNAGE? INSURANCE REQUIREMENTS: All Active Master Plumbers and Journeyman Repair Business are required to submit insurance to the Board and notify the Board upon changes. ALL ACTIVE MASTER PLUMBERS AND JOURNEYMAN WHO OWN REGISTERED REPAIR BUSINESSES WITH THE BOARD are required to maintain current Certificates of Insurance demonstrating coverage for GENERAL LIABILITY, WORKER’S COMPENSATION AND SERVICE VEHICLE LIABILITY INSURANCE with the Board’s office. Certificates of Insurance that do not stipulate a termination of coverage date (i.e., continuous, continuous until canceled, etc.) will be accepted for the current license year only. State Plumbing Board of Louisiana must be listed as certificate holder on the insurance certificate. NOTE: A copy of the proof of insurance card for each service vehicle may be submitted in lieu of a certificate for vehicle liability coverage. If you are exempt under the Louisiana Worker’s Compensation laws from carrying workers comp insurance you must complete the State Plumbing Boards, Workers Compensation Affidavit. A new affidavit is required for each renewal year. Each employing entity must display a job site sign plainly visible from the street at every place where it and its employees are performing plumbing work. This means that if you are performing plumbing work at several places in a neighborhood, you MUST place a sign at each jobsite location. A SIGN AT THE FRONT OF A NEIGHBORHOOD WILL NOT BE ACCEPTABLE. The sign must designate the employing entity’s full name, address, telephone number, and the employing entity’s Louisiana Licensed Master Plumber Number. It must all be written in at least 2” legible lettering. Louisiana Licensed Master can be abbreviated as “LMP XXXX”. The employing entity must also identify itself by permanent signs or lettering firmly attached to its service vehicles on both sides indicating the same information required of Job Site Signs, the employing entity’s full name, address, telephone number, and the employing entity’s Louisiana Licensed Master Plumber Number. It must all be written in at least 2” legible lettering. Louisiana Licensed Master can be abbreviated as “LMP XXXX”. All public advertising, solicitations, customer invoices and business correspondence issued by or on behalf of an employing entity shall set forth the information described herein, the employing entity’s full name, address, telephone number, and the employing entity’s Louisiana Licensed Master Plumber Number. Louisiana Licensed Master can be abbreviated as “LMP XXXX”. DOES MY LICENSE FROM OUT OF STATE RECIPROCATE IN LOUISIANA? The Board does not have any reciprocity agreements with other states; however, if you have a valid plumbing license in another state, you can use it to qualify to take the Journeyman Plumber exam in Louisiana in lieu of the required vouchers. Once you obtain your Journeyman Plumber license, you may apply to take the Master Plumber exam. WHAT IS REQUIRED TO DO PLUMBING WORK IN THE STATE OF LOUISIANA? All Employing Entities who wish to hold itself out as engaging in the art of plumbing MUST employ an active Louisiana Master Plumber registered with the State Plumbing Board of Louisiana. ALL plumbing must be preformed by a Licensed Louisiana Master Plumber, a Licensed Louisiana Journeyman Plumber who is employed by an Employing Entity, or an apprentice/helper who is under the direct on-the-job supervision of a Journeyman plumber who is employed by an Employing Entity. Recap: In order to perform plumbing work in the state of Louisiana, you must be a corporation, partnership or sole proprietorship, employ at least one Master Plumber whom is registered with the State Plumbing Board of Louisiana and have a Louisiana licensed Journeyman perform plumbing work or have a ratio of 1:1 apprentice/helper per Journeyman with on-the-job supervision at all times. WHAT IS REQUIRED TO GET A JOURNEYMAN LICENSE? As of January 1, 2017 to qualify for the Journeyman Plumber examination, you must have completed an approved apprenticeship program. Please contact the Louisiana Workforce Commission to find an approved program near you. Those applicants who qualify for the Journeyman examination are eligible for a permit. The work permit will allow the applicant to work as a Journeyman Plumber until the scheduled examination. If an applicant takes the examination and fails, he will have to work under the supervision of a licensed plumber. Applicants are ONLY granted one permit per lifetime. WHERE CAN I TAKE CONTINUING PROFESSIONAL EDUCATION (CPE) CLASSES? Continuing Professional Education (CPE) classes are offered through various providers that are approved by the Board. Please click on the Continuing Education tab for more information on the providers.